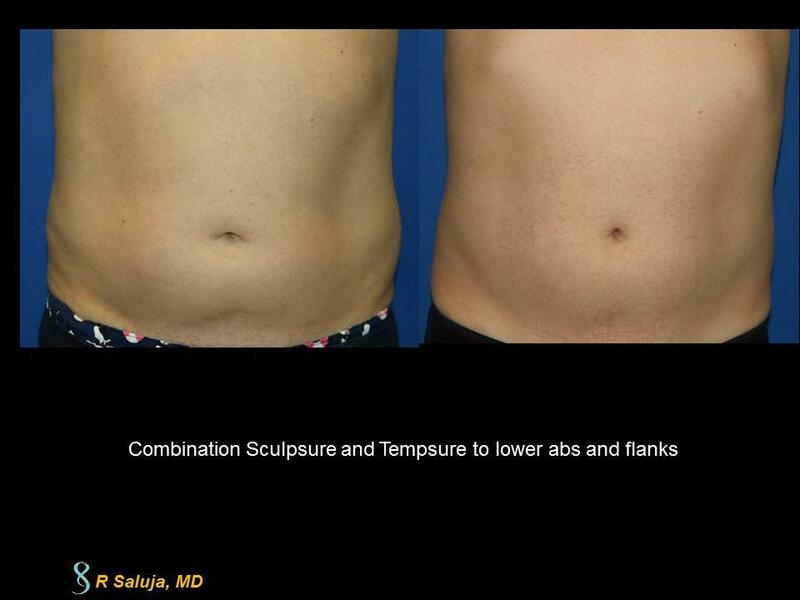 One of my favorite procedures to do, especially in the winter months is the fractional CO2 laser. This laser helps to tighten the skin and is especially wonderful for the skin around the eyes. Granted, there is a downtime of about 4-5 days where the skin appears darker (prior to sloughing) and the lids are swollen (edema). There swelling (edema) of the lids is perhaps the worst on the morning after the laser and improves each day. Patients can return to wearing make-up on day #4. It is important to keep the area moisturized for proper healing. Dr. Saluja has post care instructions to simplify the care after the laser. The reason why the fractional CO2 laser technology is so loved is that no other laser can tighten the skin around they eyes quite like a CO2. Patients present to our clinic with droopy eyelids (dermatochalasis), wanting to see what options, other than surgery are available. While eyelid surgery (blepharoplasty) is the definitive for surgical eyelid tightening, fractional CO2 laser certainly improve the appearance of the drooping lids, without surgery, at a fraction of the cost. When considering a fractional CO2 laser for the eyes, remember that the effects can take up to 8-12 weeks to see, so plan accordingly! Here is a patient who is 3 months post Fractional CO2 to the eyes and her eyes have opened up where the upper eyelid skin no longer droops down into her visual field. The upper eyelid tightening seen here with the Smartskin laser is a good alternative to surgery at a fraction of the cost. 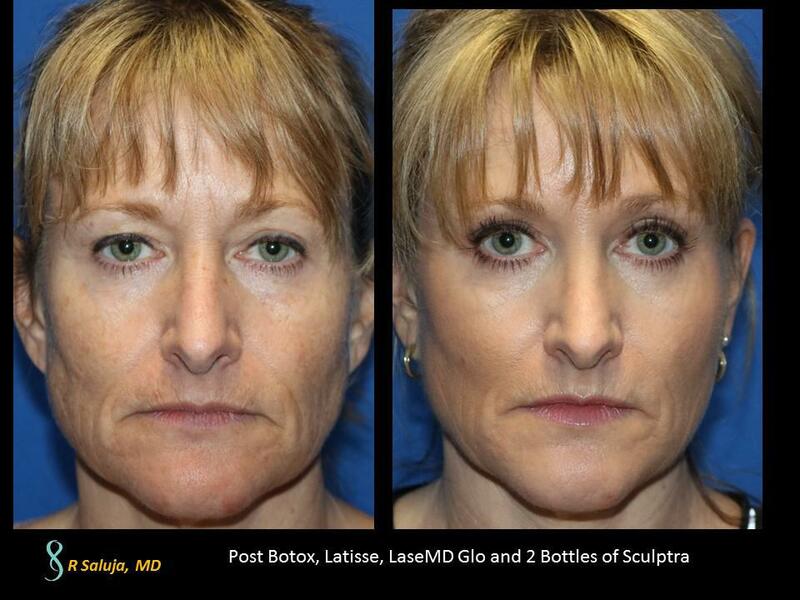 It is important to wear sunscreen after laser procedures. This type of laser, unfortunately, cannot be done on patients of color due to the risk of hyperpigmenting.